There seems to be a problem with Notepad++ and CrossOver. In particular the use of Dockable Windows with Plugins such as NppFTP and Snippets. The problem that I keep running into is the inability to move a dockable window from the right side of the screen to the left side. The problem is that I am unable to drag and drop to the left and the window becomes undock. When the window is undock, there is no way to connect is back to the main window. To get back the previous state, I have to reinstall Notepad++. Maybe someone else have better luck at moving the Dockable NppFTP window, but it just doesn't work correctly in Crossover. Notepad++ supports so called Dockable Windows. These are part of the GUI, but you can move them around and choose whether you want them aligned to any side of the main windows (docked), or floating like a separate window. To change the location of a dockable window, click and drag the titlebar of the window around. When you drag near any edge of the main window, a rectangle will be drawn indicating that the window will be docked there if you release it. Moving it anywhere else will draw the rectangle in the same way the window would be positioned if it were floating. You can resize floating windows like any other window by dragging its edges, but to resize a dockable window you have to drag the edge that is adjacent to the main window. There can be multiple dockable windows grouped together. If this is the case, only one of the windows is shown, and the others are reachable by a tab bar that is shown below the visible window. Selecting an item from the tab bar will hide the visible window, and show the corresponding window from the tab bar. Filed under the "Macintosh" category. [Permalink] - Comments are welcome on this post! I have an old Swann Firewire hub and was going to connect it to my computer. I wanted to use to connect multiple devices. I purchased this hub a few years ago and its been sitting in the basement for a while. When I put it in storage, I didn't keep the power brick with it. Which causes a dilemma, what power jack will I need? When I looked on the bottom of the hub it didn't have any specs. So I decided to search the Internet. After searching several sites, I found the required power specs. It looks like the 12vV/1A is what will properly power up the device. I figure I post it here in case I needed this information in the future. The Swann FireWire 6 Port Hub not only overcomes the 4.5M length limit in the 1394 standard for the user's devices, but it offers 6 independent 1394 bus connections, each with a 400Mbps transfer rate. Swann FireWire 6 Port Hub is the best choice for corporate and professional users who want a solid solution to IEEE 1394 / FireWire connectivity. I have been using the Macintosh computer off and on since 1989. On Friday, I'll share some tips and tricks using the computer and various accessories. All reviews and tips are my own. Filed under the "Macintosh" category. [Permalink] - there is 1 comment on this issue. New iMacs were announced today and when looking at the specs I noticed that there is no DVD drive and no SD slot for Flash cards. While having a nice thinner machine would be nice, I am happy of the machine that I got. The lack of a DVD drive isn't that big of a deal since I have an external drive, but its nice to have dual drives for various reasons. The SD slot has come in handy with downloading photos, as I find it goes much faster than external card readers. Since I work down the street from an Apple Store, I'll go down sometime during lunch, to check out all the new hardware announced today. I find playing around with the computer for a while you get some understanding of why Apple did what they did. I really want to see how much non-glare they reduced as I don't like glare on my computer monitor. Going from a Power Macintosh Dual-G4 Tower to an iMac is a big step, there's no need to have the latest and greatest. ( Basically I jump 5 years in technology in one migration.) I am happy with the computer and no-regrets with getting the latest and greatest machine. Correction: Turns out that the SDXC slot is now in the back of the computer. This is not a good location, since inserting the SD card is something that I would do a lot of, and having to reach the back of the computer and put in the card is not very ideal. One of the things that I don't like with the Macintosh OS X. Is the inability to close some dialog boxes. For example, every once in a while I'll insert a data CD or DVD and copy some files to the computer. However, because the disk I insert may have scratches or be slightly damaged the file doesn't get copied. What ends up happening is that the copy dialog never closes and I am unable to eject the disk. I have to restart Finder, or many times restart the computer to get rid of the dialog and be able to eject the disk. I thought this would be fixed with Mountain Lion, but I am still encountering this issue. Hopefully some day they will be able to fix this annoying bug. Last night I was surprise to find out that my new iMac didn't come with iDVD. This caused an issue because I was trying to burn a video DVD. It turns out that Apple end of life iDVD with the release of iLife 2011. Why did Apple think that people wouldn't be burning video DVDs anymore. I know there's some third party applications that have DVD capabilities, but iDVD was a good enough solution for most basic users. Lucky for me that I had a copy of iLife 09 on a disk, which includes iDVD. I was able to successfully install the application by inserting the disk and running through the install process. I was worried that it would overide the iLife '11 items, such as iPhoto and iMovie, but that was not the case. The installation only installed iWeb and iDVD. After the installation, I then went to the App Store and checked for an update and updated both applications. If you have a few old Virtual PC images around and recently upgraded your hardware and software, you should check out Parallels Desktop. You can still access your old Virtual PC environments! Its really easy to connect your old Virtual Machine. Simple boot up the Parallels application, click on the '+' in the Parallels Virtual Machines and then select 'Add Existing Virtual Machine.' The software does the rest. Here's the tricky part. Since you are now using a different machine, Microsoft thinks that you have illegally copied this to a different computer and it needs to register Windows again. You have two options do it online or offline. Clearly doing it online is better, but you might encounter a problem getting connected and Windows comes back and tell you to call some 800 number with a big serial number. Here's what's really going on. Your Parallels Virtual Machine isn't setup correctly to connect to the internet. It has nothing to do with any configuration on Windows. I shutdown the Virtual PC session and then clicked on the PC name in the Parallels Virtual Machine window. When a new window appeared, instead of clicking to start it, I configured the PC. You can do that by clicking on the icon on the bottom right, or by going under 'Virtual Machine' and then select Configure. Now when you restart the Virtual PC, your'll be asked to validate Windows and this time it should be able to connect to Microsoft fine. This is a good time to buy Parallels as they are running some good discounts. Check out their website or their Twitter feed for deals and more information. This is no longer a feature of Photo Booth. They didn't even bring it back for 10.8, Mountain Lion. Pretty much the only thing that you can do is export the picture as a group. It would be really cool if Apple brought back this feature. Today I was able to setup my Dual 1.42 Ghz PowerPC G4 Macintosh as a headless computer. A headless computer is a computer that is not attached to a monitor. This is mostly done with Unix systems at datacenters. Usually consumers aren't setting up their computers without monitors. The reason why I decided to make my PowerPC headless is that I wanted to use the 21" monitor as a second monitor to my new iMac. Over time I plan to phase out the use of my old PowerPC computer. There's no reason to have a monitor attached to a soon to be legacy computer. To set this up, before disconnecting the monitor, I enable remote management for VNC. I booted up the computer and went into 'System Preferences' and then selected 'Sharing.' I then enabled the Remote Management and turned on all the options except the Observe option. I didn't select this as there will be no way to observe any remote connection. I then click on the 'Computer Settings...' and enabled the 'VNC viewers may control screen with password' checkbox and entered a password. The password is very importaint since anyone could connect to the computer and grab old files. After performing all the Settings, I then shut down the computer and disconnected the monitor. I also disconnected the mouse and keyboard since I wouldn't be needing that. This frees up more valuable desk space. Obviously the Ethernet cable had to still be plugged in. I then rebooted the computer and then waited a couple of minutes for the boot process to complete. Actually my PowerPC is so old, I have to unplug the computer and plug it back in to re-boot it. I haven't figured out why I have to do that yet. To access the PowerPC computer from my iMac I downloaded Chicken of the VNC. Chicken of the VNC is a VNC client for Mac OS X. I was surprised that it discovered my old Computer when I went to connect. I simply had to enter my password, click enter and bingo I have access to my old computer. What's even nicer it's the same resolution as it was before, so I wasn't looking at a smaller window. I am happy to now have access to my old computer. My task now is to move files from one computer to the next computer. Last night I tried to copy my iPhoto Library from my old computer to the iMac however it was going to take 2 days to copy it over from my Ethernet connection. (13 GB) Looks like that I'll have to setup a Firewire Disk mode to copy over data. Both computer have Firewire 800 ports, so the data copy should be faster than Ethernet. I am using my 2005 20" Cinema Display as a second monitor to my new 2011 iMac. The monitor works great! I was able to use the thunderbolt to ADC adapter to connect the monitor to the iMac. The only technical problem that I ran into was that I could figure out how to adjust the display contrast. I discovered that connecting the USB port to the iMac allowed me control the contrast. I also gain the use of the additional USB ports in the back of the Cinema Display. The other problem I had is the monitor is not the same height as the iMac. Once solution was to use the Quirky Space Bar which lifts the monitor and added 6 USB2 ports. The problem that I found with the Space Bar is that it lifts the monitor an extra inch and a half more than I needed. What I found that worked perfectly is the Steve Jobs Biography hardcover book! I discovered this by accident while trying to figure out the exact height that would work. What a great use for the book after reading. ForkLift position itself as the "The most advanced file manager and FTP/SFTP/Amazon S3/WEBDav client for Mac OS X (10.7)." They just might be right about that! Binary Nights certainly packs a lot of features into their FTP application. My first reaction is that they didn't support remote editing files since when I did the Apple-J to edit a file, the view options menu appear. After some looking around, I discovered that the shortcut to remote editing files in ForkLift is 'Command-Down Arrow'. ForkLift has some pretty cool features: Compair allows you to see the difference between any two remote files. This is cool if you have a backup of a file and need to know what changed. The 'Quick Look' feature works just like Mac OS X and allows you a preview of the file content without having to download the file. The ability to browse Archive makes it easy to identify what's in that old archive.bak.tar file. I really like the 'Calculate All Sizes' view option. I was able to view the file content sizes on my sftp server. This isn't something that I was able to do with other FTP clients. Really cool to know what folders are taking up the most disk space on my server. It was really easy to setup Droplets, I was able to put my Image folder on the Desktop and easily drag images to the icon and upload them to the server. This even worked when I had ForkLift application closed, making this an easy way to upload files to the server. The 'Terminal' functionality seems pretty cool, the ability to open a Terminal window at the current path. I wasn't able to get this working on my directory. The menu item wasn't available. Overall I am impress with the core functionality of ForkLift. It seems to offer a lot of practical tools that regular users will like and additional functionality that power users will flock to. I would recommend OS 10.7 users to check out Forklift and see how it can help you. My only complaint is the default keyboard shortcut to remote edit files, I have been so use to doing the Command-J for a long time. It would be tough to get use to ForkLift keyboard shortcut. Single-user License for ForkLift is $29.95, and the upgrade from previous version is only $19.95. There is a family licence which is $49.95 (Fun for the whole family?) You can get the Application via the Apple Store or through their website. I would recommend getting through website since you get the Disklets feature which allows you to mount remote volumes making them appear to your Mac as simple local drives. I have seen post on forums asking how long it takes to burn a Dual Layer DVD. This evening, I thought I record my experience. I wanted to back up one of my flash drives. Its really easy to do on an iMac, and more importaintly its fast. I connected the flash drive to my computer and moved the contents to a folder on the desktop. I then right click on the folder and select Burn "USB Content" to Disk. It took 15 minutes to burn a 5.28 GB Folder at 6x. I waited 8 minutes before the verification process started. It took about 12 minutes to verify that the burn process was successful. Which means that it took 35 minutes to burn 5.28 GB on a Dual Layer DVD at 8x. Today I contact Adobe Support about my upgrade options for Photoshop CS2 and Indesign CS2. Their website doesn't include CS2 as part of their upgrade cost. In my chat conversation with Ria, she says " I am sorry, there is no upgrade path since the version you own is an older version. In that case you will have to purchase the full version of the software." Ria then suggest that I get a different option, "Using CS6 Design and Web Premium, you can combines industry-leading tools that allow you to create and deliver innovative ideas for print, web, tablets, and smartphones. You can design some Rich Internet Applications (RIAs) and banner. You can also work as freelancers or are employed full-time by agencies, publishers, corporations, and government departments." So I go from a potential $199 upgrade to purchasing $1,899. Wow! I don't think that will happen any time soon. I was very disappointed that no new iMacs were announced at the WWDC conference yesterday. In fact, so many users expressed their concerns on Twitter, Facebook and to Apple CEO Tim Cook, that Apple's Public Relations issue a statement via Forbes. An Apple spokesman just told me that new models and new designs of the Mac Pro, as well as the iMac desktop, are in the works and will likely be released in 2013. That confirms what New York Times columnist David Pogue said yesterday, citing an unnamed Apple executive, about Apple's commitment to its desktop computers. In the end, I decided that it was not worth waiting for another 6 months for the new iMacs. I am now busy playing with my new iMac. I am very happy with the new computer. Personally I don't think its worth waiting. If you need a computer, you should go out and get one. There's always a reason not to purchase a computer, sometimes you need to focus on the present. Not sure why, but Apple's Magic Mouse doesn't enable the Two-button click by default. This means that you can't do right click to see a drop down menu of options. To enable, Click in System Preferences. Left-handed users can reassign left and right click, as well. Yesterday, my wife surprised me with a new iMac. Wow! What a fantastic gift! I am very excited to have a new computer! My existing computers are about 8-10 years old, so getting a new computer is a very welcome surprise! As tempting as I was to rip open the box, I decided not to open the box right away. I know of a website that tracks when the best time to purchase an iMac and recommends if it's a good time to purchase. Sure enough when I checked, I discovered that Apple is overdue on refreshing the iMac product line and new iMacs could be announced as soon as next Monday. So, I decided to wait on opening the box and see what happens on Monday at the WWDC. Its so hard to wait. Knowing that a new iMac is sitting in the living room, waiting for me to open it and explore all the new features. Intel Processor, Mac OX Lion, Facetime, Thurderbold, AMD graphics, and a nice quiet machine that starts up really fast. When I set up my new iMac, I want to connect my 20" Apple Cinema Display as a second monitor. Fortunitate for me that the Cinema Display uses a DVI port so all I need is a Mini-DVI to DVI Adapter which costs about ~$20 at the Apple store or about $15 in other retail stores online. The new computer comes with 1TB hard drive, which is pretty much bigger than anything else that I have right now. I'll have to get a hard drive docking station to moved some of my old data to the new computer. 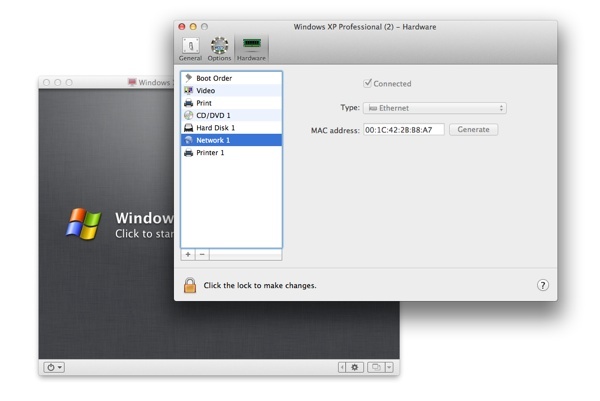 I'll have to checkout the advantages/disadvantages of various Window emulators such as Parallels, VMWare or Bootcamp. I have some old Virtual PC instances that I may want to merge over to the new computer. However, since I haven't run Windows at home for many years, it may not be worth the effort. Transmit $19 or Interarchy $29.95 upgrade - Haven't quite decide which one wins. Leading towards Transmit. Audio Hijack Pro - Looks like no update is needed. Fission - Looks like no update is needed. Toast - Toast 9 to 11 upgrade cost $79.99. Not sure it's worth the cost. DiscLabel - $15 upgrade at some point. Textexpander - $15 upgrade at some point. Indesign - CS2 to CS6 at some point. Photoshop - CS2 to CS6 at some point. That's all I can think of for now. Very excited about getting a new iMac! Last modified: February 15 2019 7:07 pm.